Posted on July 12, 2012 by Greg Kaz. Talking about feasible and suitable home repairing and maintenance, that is the hottest issue for every person and they want to get the most effective results and creative work for saving their property. In this busiest life, home owners and industrialists have very little time for repairing and maintaining their homes, roofs and commercial sectors. So they want some special type of products for repairing and maintaining their homes and offices, by applying them, they can easily repair and maintain their homes for many years. In order to provide the results for this requirement, there are number of challenges which a contractor have to face during the tear off the roof or home and installing a new roof. They have several ways of completing task of construction, in shifts and at once or regular basis, but for a creative maintenance of a roof and provide long time strength to the home, there is the never ending responsibility for a builder. More over when a home owner wants to get the work with less cost and down timing, this responsibility exceeds its limits and become a new challenge for home constructors. So the home constructors have a long list of responsibilities that is endless. With recurring costs and time consuming repairs, facility maintenance personnel are focused on providing a safe and efficient environment to the homeowners and to provide satisfactory results. There are many products in use for construction purpose that gives the extra ordinary results that can easily satisfy the home owner and also easy in application for the constructor. 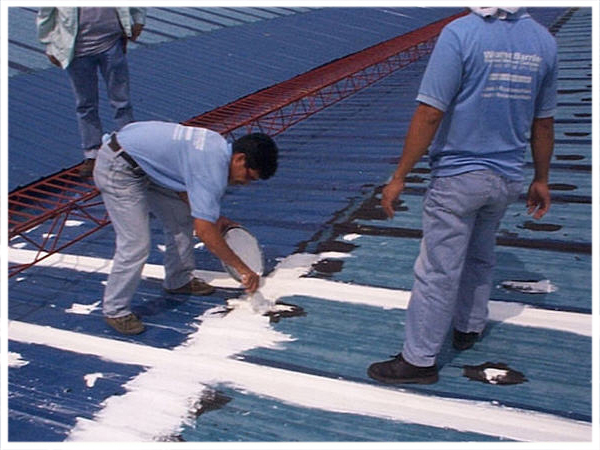 As Liquid roof coatings are the best sealant for repairing, it gives full recovery for any roof leaking problem that may occur because of summer sun or heavy rain. Liquid roof is also most famous product among the constructors because it provide a time down criteria for its application with full coverage of roof leaks. So constructors have numerous proven solutions to solve maintenance issues for all types of homes and roofs and commercial sectors on the basis of all these products. They also provide the surety to reduce costs and downtime while improving product life cycles and energy efficiency. EPDM Coatings is the one solution for all problems of Roofs, whether you are going to repair your residential roof or your RV roof, this is the one product which can easily solve your all problems regarding your Roofs only after one coating, All solutions are just away from one coating of Liquid Roof, whether your roof is damage or leak, no need to worry about repairing or call any Roof repairing service providers, you can do it yourself, and your roof will renew just after one coating of Liquid Roof. If your RV has a damaged roof with leaks, then you could be suffering a great deal of stress and concern. With Liquid Roof, RV Roof Repair and maintenance has never been easier. This RV rubber coating is maintenance free and installs in one easy coat with no primer. You can be on the road again in no time with no spring leaks. After repairing you RV with liquid roof, simply keep up with your routine maintenance and your rv roof should last for a long time to come! The Florida RV’er warns that owners of RV with new, sleek rubber membrane roofs should be aware of their susceptibility to damage from overhangs and branches. He recommends at least twice annually cleaning the roofing of your RV / trailer with a mild soap and water solution, as well as checking the roof and seals for leaks repair or tears repair. Inspecting your RV at home can prevent RV leaks repair, roofs repair and even more damage down the road! If you do find a tear on your RV, you are going to want to repair RV. RV Roof Repair is perfect for all of your RV roof repair and RV roof leaks repair needs. Motor homes and RV leaks repair and maintenance is an essential step in guaranteeing the long life of your investment.